*Coverage to guarantee a safe trip. 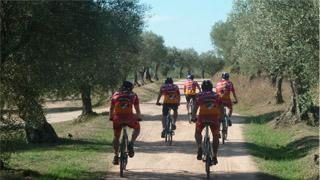 An indispensable travelling companion provided by BIKE SPAIN TOURS for our clients. Nevertheless, we ask you to review the limited amount of such coverage included in our insurance, and to confirm with your insurer that you are adequately covered in any event.